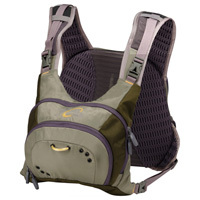 Fly Fishing Chest Packs: Fishpond Aroyo, Double Haul and Piney Creek Chestpacks, Snowbee Chestpack, Vision Mycket, Mega Bra, C&F Chest Pouch CFTX50, William Joseph Confluence, Surge, Mag.  4 small internal stretch mesh pockets. Small and lightweight, it can deceive, but the Medicine Bow Chest Pack is jammed with features including water-resistant zippers, a fold-down moulded bench, and a main compartment that can hold those large fly boxes you love so much. Add Hypalon tabs to secure even more accessories, and you are feeling better already. 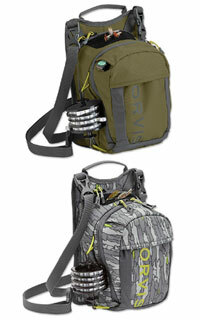 The Release is without a doubt the most innovative chest pack in the market, period. With its progressively opening main compartment you will be able to access anything you need easily with one hand. 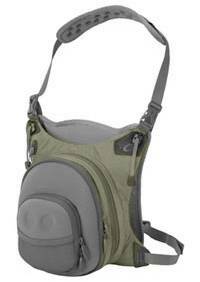 Capable of carrying multiple boxes in the front, the shoulder straps also un-zip exposing additional storage for a hydration bladder or general storage. 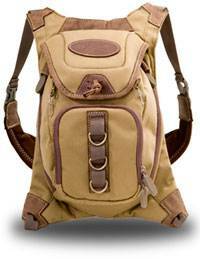 This pack is large enough to allow you to head miles Downstream without a care. Everything from a jacket to lunch and plenty of fly boxes in between. With its multiple front and back compartments and adjustable Air-Trac suspension; The Escape will take you anywhere you see fit. Chest and hip pack wearers unite. The Chip Pack brings your favorite features together in one versatile design. 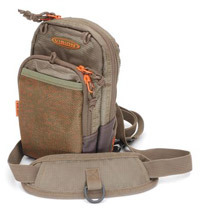 A mid-size pack for the angler who likes the freedom of fishing without a vest, the Chip features two compartments and a bounty of interior pockets for storage. This saddle style vest is a favourite and very versatile. With plenty of storage options for all your fishing needs. It can be used in a number of ways, either in separate parts for a lightweight minimal approach, or, combine it with Vision's Aqua Day Pack when there is a need to carry more for the longest of fishing trips.  Two large zippered front pockets.  3 Tippet pockets in front.  Large zippered mesh pocket in front.  4 Pockets for pin on reels.  Large zippered rear pocket.  D ring for landing net on back.  YKK buckles and zippers.  2 D rings in front.  Front and back parts can be easily separated (clips). 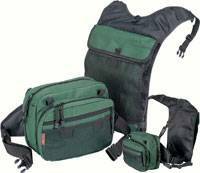  The front can be used individually or attached to a back pack. 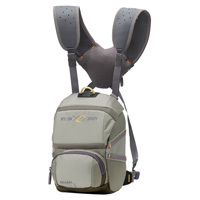  Includes separate, adjustable, waist strap, padded neck strap with D loop. Made from a new stronger Rip stop material. Small in size, but big enough for the day's flies and accessories. The main compartment takes one big fly box and the other accommodates a small box or plenty of tippets, leaders and other accessories. 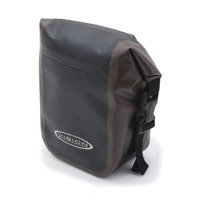 The front mesh pocket is handy for items which have to be easily accessible. Comfortable neck and back straps can be removed if you prefer to attach it your Aqua Day pack or Vision wader 'D' rings for convenience. It can also be used on a wading belt. The neck padding has useful 'D' ring to hang a light weight net. Truly authentic right down to the saddle stitching, however nobody ever said authentic had to be annoying or un-comfortable, so we kept the contemporary performance in tact. 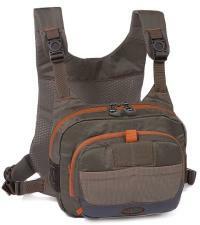 With features such as a fully breathable suspension, the finest zippers available and an ergonomic neck strap. The Old School Chest keep it real. Throwing in a modern style workstation and enough room for a couple of large fly boxes. 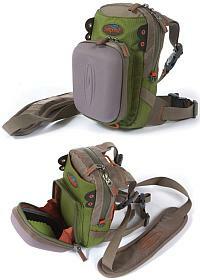 This waist back pack is great, plenty of compartments, plus you can detach the waist pack on its own. There are times when you need access to a remote creek more than you need access to every piece of tackle you own (see how this is working out). 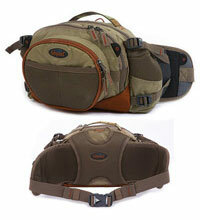 This Willy J pack will provide just that, for the savvy angler who knows how much is enough.